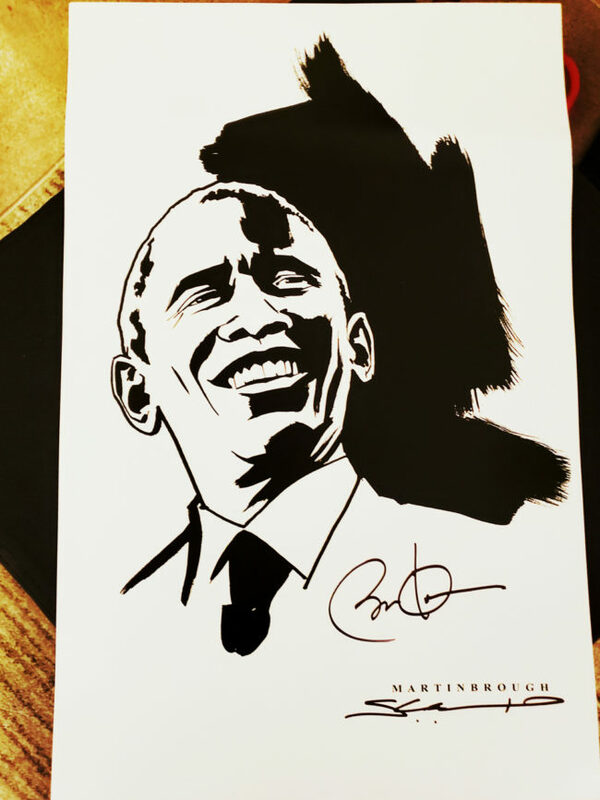 Shawn’s portrait of the 44th President of the United States, signed by Barack Obama. 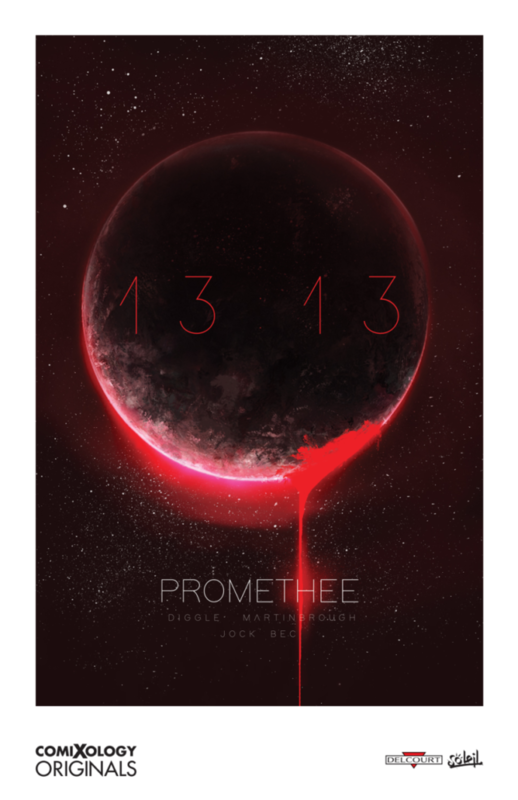 The all-star Promethee 13:13 creative team of Andy Diggle, Shawn Martinbrough and Jock, along with Promethee original creator, Christophe Bec, appeared with the Delcourt Group at Angoulême to sign an exclusive, limited edition poster illustrated by Shawn, with colors by Jock. 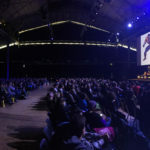 The Promethee team along with comiXology Originals Head of Content, Chip Mosher and Directeur Editorial at Delcourt Group, Jean Wacquet, discussed the upcoming comic series during the Past, Present and Future: Promethee 13:13 panel at the Conservatory Gabriel Fauré in Angoulême, France. During a tour of the DC Comics HQ in Burbank, Shawn was shown that his past work on “Batman: Detective Comics”, “The Creeper”, “Static” and more, has been collected in the official DC Comics Archives. Producer and Contributing Editor Karama Horne interviews Shawn on his artistic influences, career highlights and future projects. 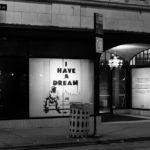 Shawn joined fellow artist Robert Pruitt in a conversation at the California African American Museum. 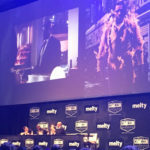 The two discussed Pruitt’s current exhibit, the ways in which his imagery explores the complexities of contemporary black identity and Shawn’s approach to visual storytelling as author of How to Draw Noir Comics: The Art and Technique of Visual Storytelling and various projects including Batman, Luke Cage Noir, The Black Panther and Thief of Thieves. 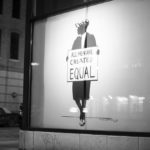 Shawn joins writer Alex Simmons in reflecting on Stan Lee’s legacy of representation in comics for the Associated Press. 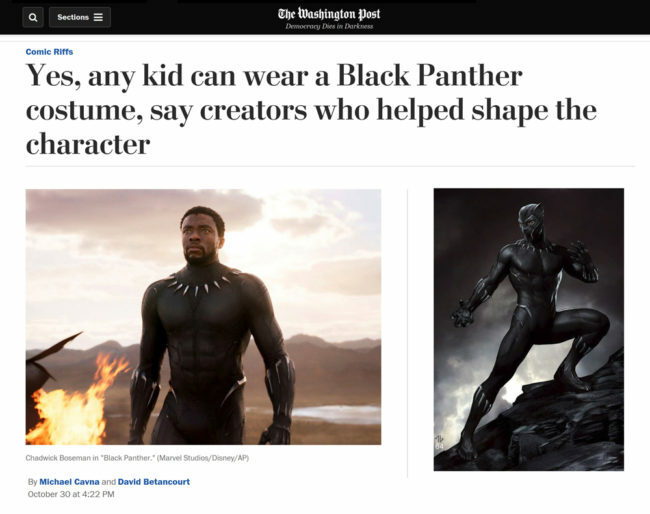 Shawn was interviewed by the Washington Post on the topic of kids dressing up as the “Black Panther” for Halloween. 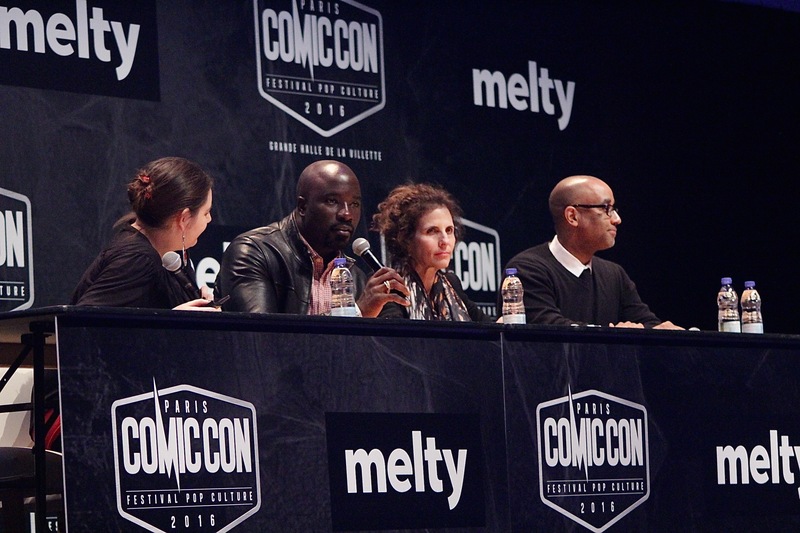 Joining fellow artists and writers who have depicted the iconic Marvel Comics character, Shawn discussed the virtues of children and families of all ethnicities reveling in the world of Wakanda. 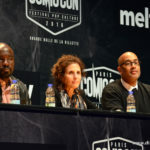 French publisher Delcourt and leading digital comics distributor Comixology (an Amazon company) announce “Prométhée 13:13”, a prequel to celebrated writer/artist Christophe Bec’s beloved sci-fi bande dessinée, with the all-new creative team of writer Andy Diggle, artist Shawn Martinbrough, and cover artist Jock. 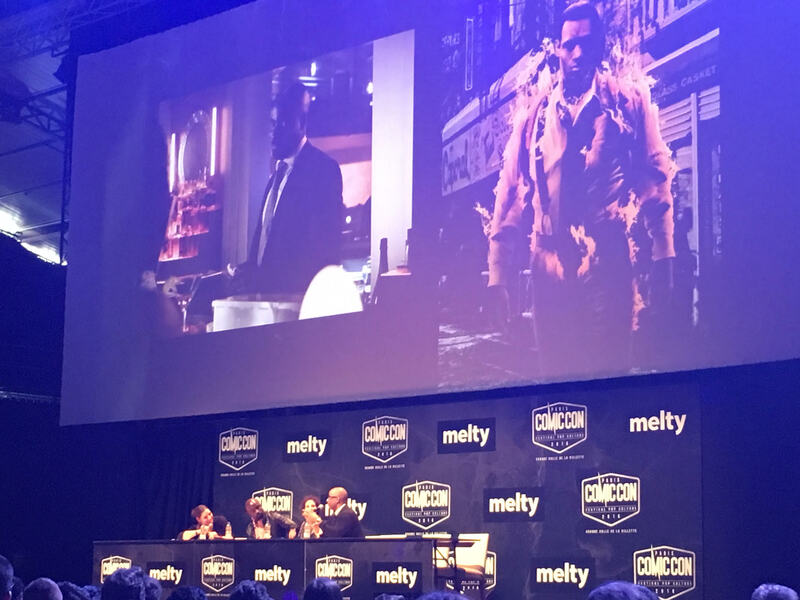 The team appeared at the New York Comic Con, signing exclusive, limited edition prints and giving interviews to promote the series which will debut in 2019. USA TODAY caught up with Shawn to talk about everything from Comic Con and James T. Kirk to the frustration of not being able to find work and the humbling power of storytelling. Vanity Fair profiles the George Lucas Museum of Narrative Art and spotlights Shawn’s headlining the new Lucas Museum Summer Studio, an art educational program for teenagers. 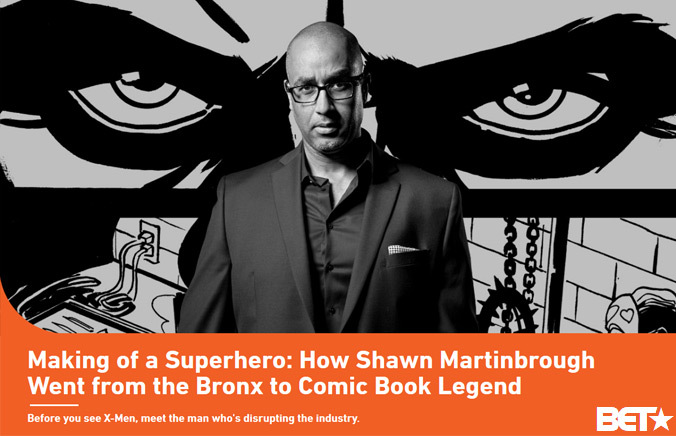 “Despite a quarter-century of professional comic-book illustrating — and having drawn some of the most popular superheroes ever — artist Shawn Martinbrough still had a “bucket list” character who had escaped the lines of his pencils for so many years. 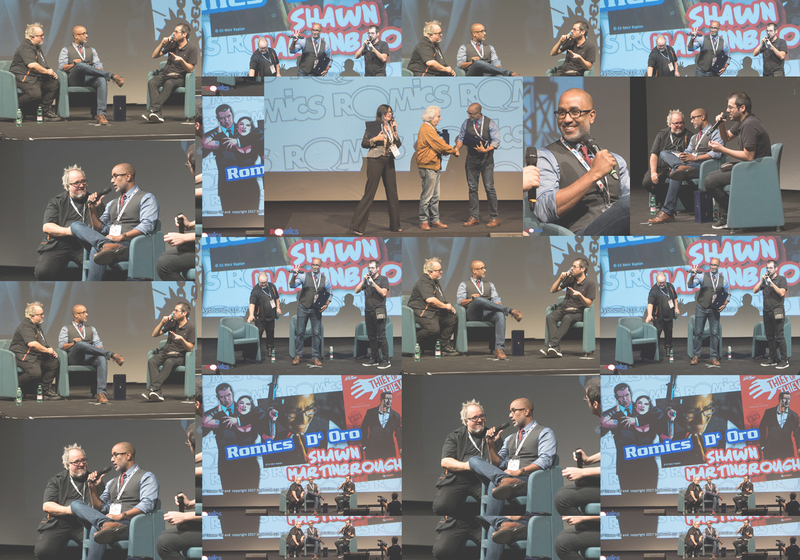 During his Summer Studio program with the George Lucas Foundation and Lucas Museum of Narrative Art, Shawn was invited to speak about his career as an artist at Walt Disney Animation Studios. 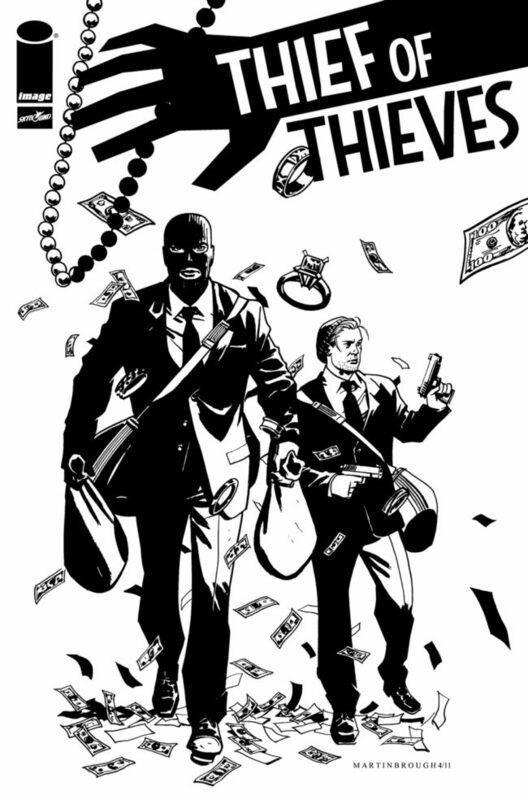 Shawn designed the exclusive 2018 San Diego Comic Con poster for the “Thief of Thieves: Season One” video game from Skybound Entertainment and Finnish independent game studio Rival Games. Based on the acclaimed graphic novel series “Thief of Thieves” from Robert Kirkman (The Walking Dead) and Shawn, the video game features the solo adventures of “Celia”, one of its lead characters. 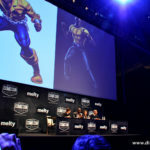 Shawn worked closely with CEO of Rival Games Jukka Laakso on the approach to the poster image, opting to focus solely on the female protagonist in the style of a grand feature film one sheet. Along with comic industry greats Kevin Nowlan, Alex Ross, Sam Kieth and Bill Sienkiewicz, Shawn contributed original artwork to raise funds for The Ed Asner Family Center. Founded by veteran television actor Ed Asner, best known for his roles on “The Mary Tyler Moore Show” and “Lou Grant”, his son Matthew and daughter-in-law, the center supports programs and education for special-needs children and their families. 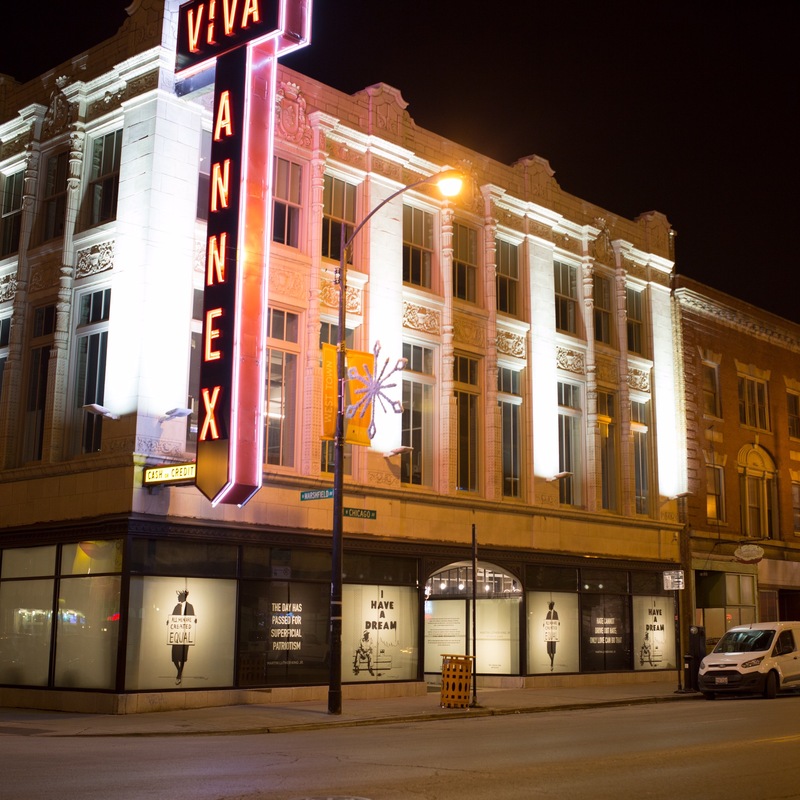 The art sale was held by Heritage Auctions. 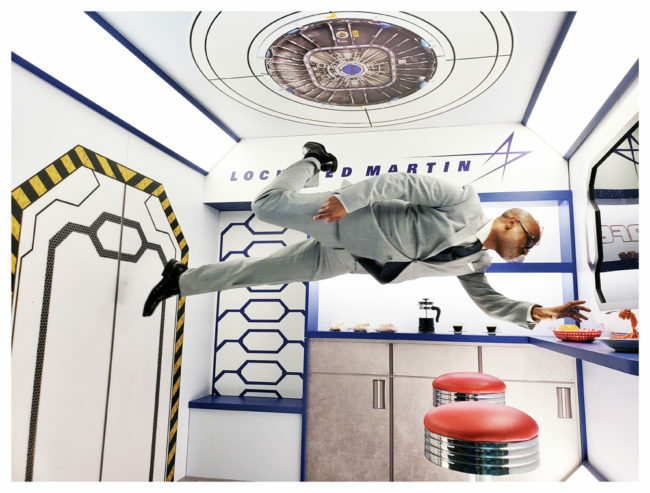 Shawn was a featured speaker at the 2018 Lockheed Martin Center for Leadership Excellence Communications Summit. 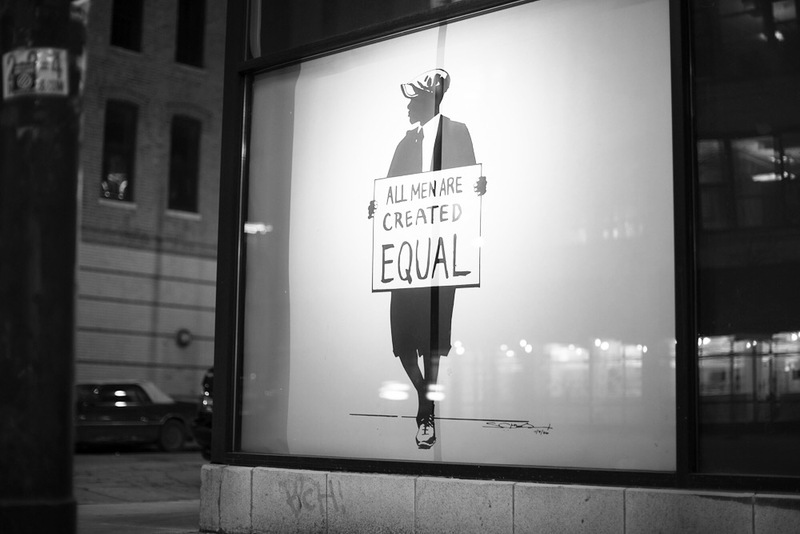 His presentation explored the importance of representation in media, diversifying ones thinking, creating bold images and campaigns. 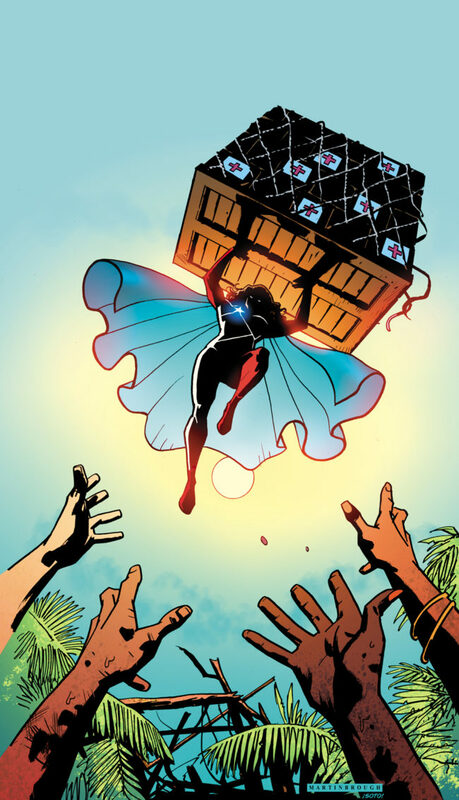 Shawn contributed original artwork to the benefit anthology “Ricanstruction: Reminiscing and Rebuilding Puerto Rico” featuring the superhero “La Borinqueña”, created and published by Edgardo Miranda-Rodriguez. The graphic novel project, in partnership with DC Comics, will raise funds for the citizens and rebuilding of Puerto Rico. Shawn joined fellow artist and author, Jerry Craft as featured speakers at the 32nd Annual Conference of the 100 Black Men of America, Inc. 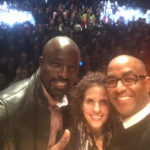 The two headlined the 2018 Youth Summit Workshop, speaking to students about their unique approaches to art and respective careers as professional artists. 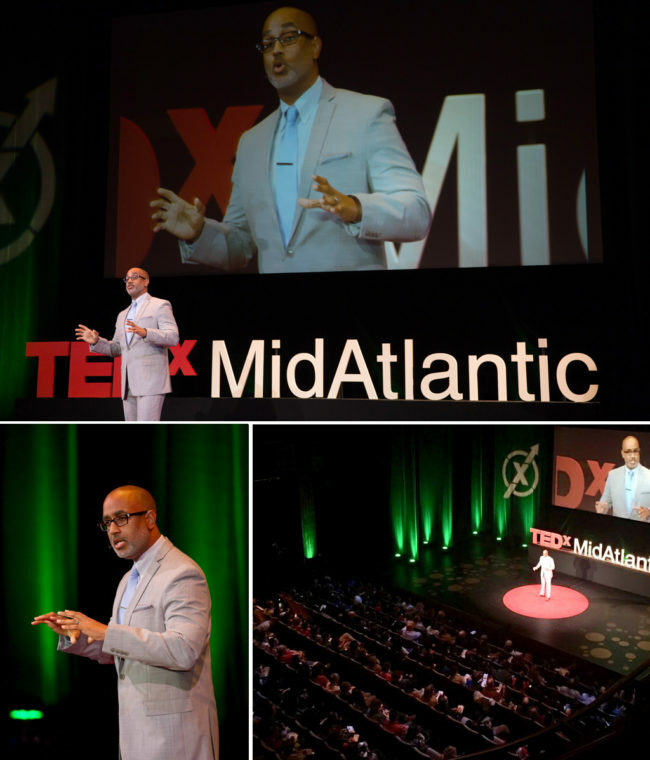 Shawn was a featured speaker at TEDx MidAtlantic: SUPERPOWERS. 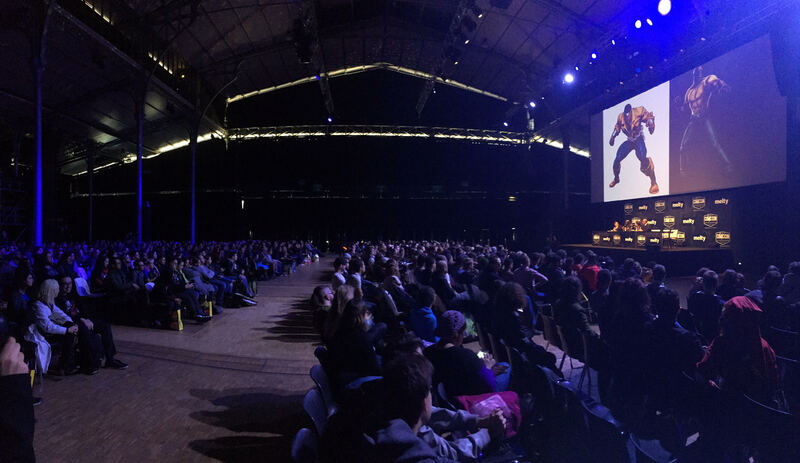 Held at Sydney Harman Hall in Washington, D.C., Shawn’s talk explored his becoming an artist, illustrating iconic characters for Marvel and DC Comics and representation in the media. BBC World News America Correspondent Jane O’Brien interviews Shawn in his studio. 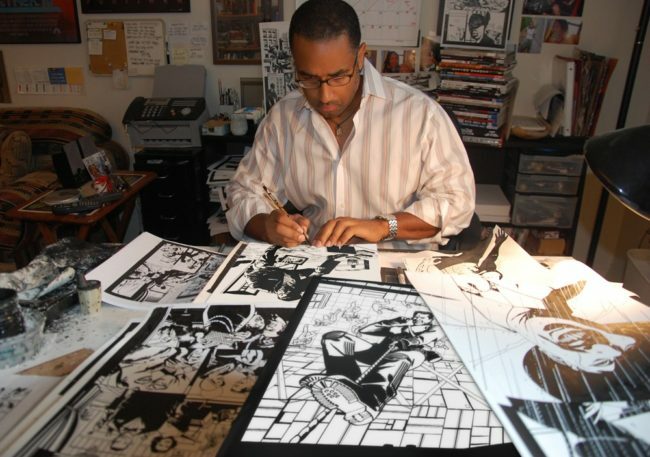 The two discuss Shawn’s approach to drawing “The Black Panther” for Marvel Comics and his artistic process as a comic book illustrator. 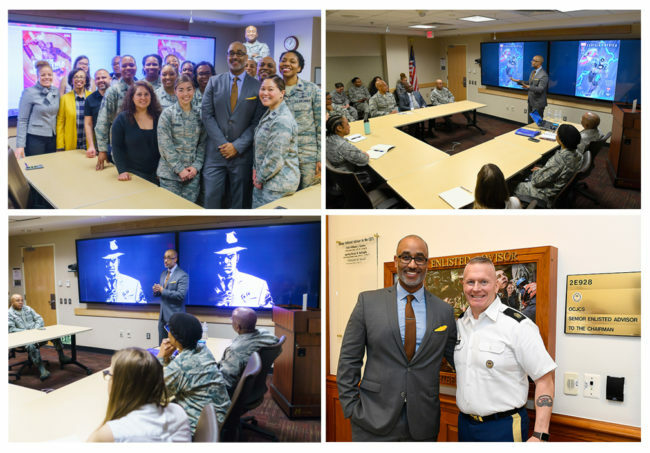 Shawn was invited to speak to Air Force officers at the Pentagon about his career as an artist, drawing iconic comic book characters and the importance of representation. Photos by Miranda Drummond and Official Air Force Photographer Andy Morataya. 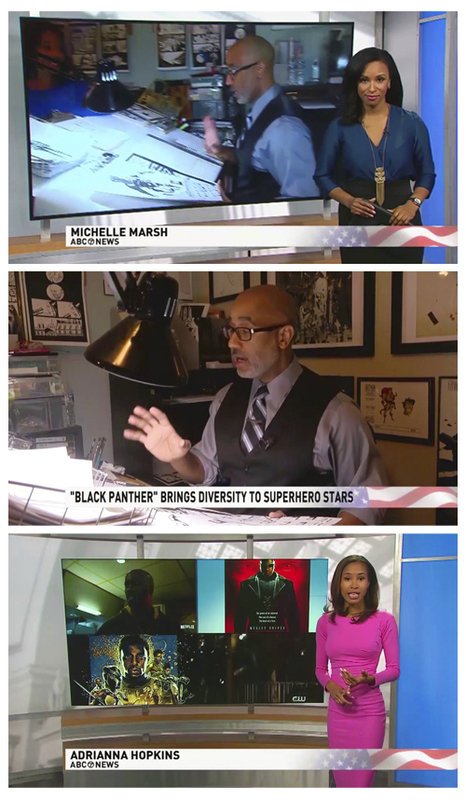 ABC 7 News Adrianna Hopkins and Michelle Marsh interview Shawn about his time drawing the Black Panther for Marvel Comics and the significance of Marvel Studios “The Black Panther” film. 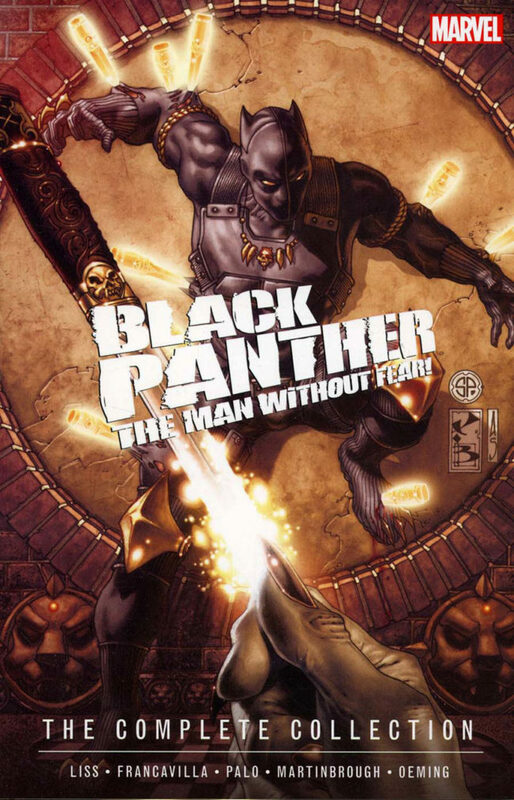 Marvel collects Shawn’s acclaimed “Black Panther: The Man Without Fear” story arc in a new Complete Collection. 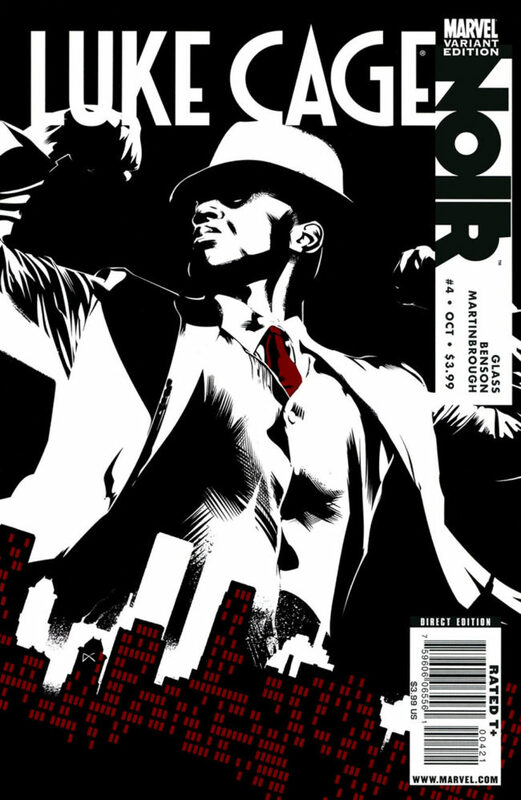 Along with celebrated artists Francesco Francavilla, Palo, Mike Oeming and Simone Bianchi, Shawn illustrated the final chapter of the series written by David Liss. 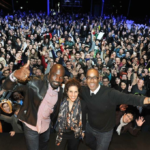 Shawn joined fellow comic book creators Jason Scott Jones, Micheline Hess and Kwanza Osajyefo as a featured guest of NBC Universal’s “Defining Moments in the Arts: Celebrating The Superheroes of Our Time” event. 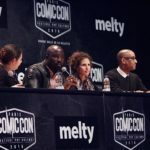 The panel was organized by Jason Scott Jones and NBC’s Black Employee Network at 30 Rockefeller Center and moderated by Karama Horne, Contributing Editor/Producer at SYFYWire. 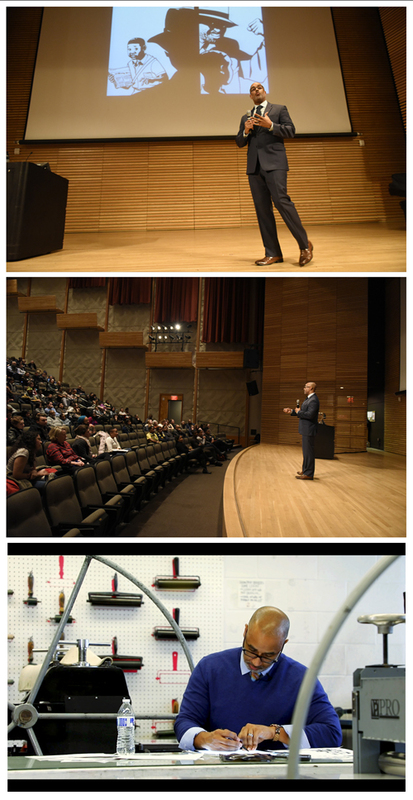 Shawn was a guest speaker at the 2018 University of Michigan Reverend Dr. Martin Luther King, Jr. Symposium. In addition to his lecture at the Stamps School of Art & Design, Shawn filmed a segment demonstrating his process of translating script to a comic book layout. 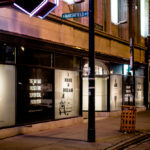 Photos by Stephanie Brown & Jon Clark. 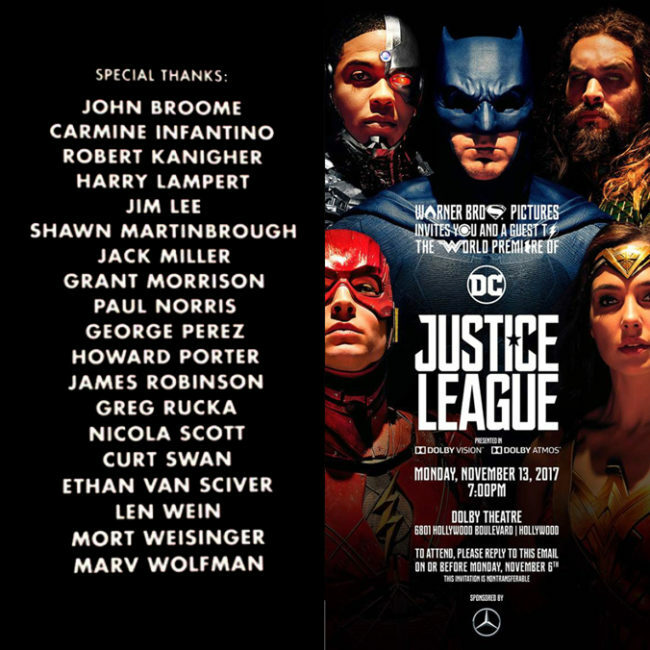 Shawn receives a special credit in the Warner Bros “Justice League” feature film. 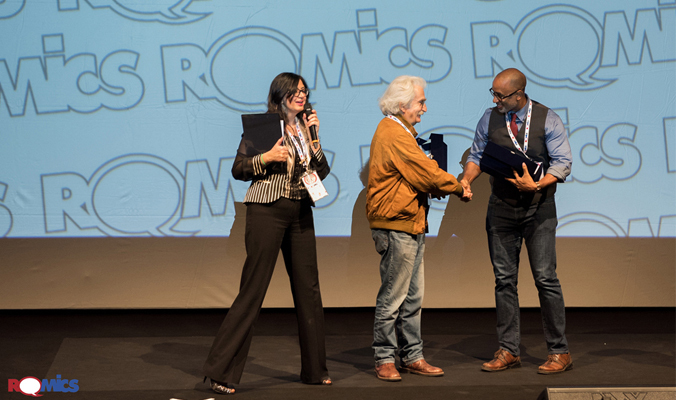 Shawn accepting a Romics Golden Career Achievement Award with legendary artist, Paolo Eleuteri Serpieri and Star Wars/ILM Design Supervisor, Kevin Jenkins in Rome, Italy. 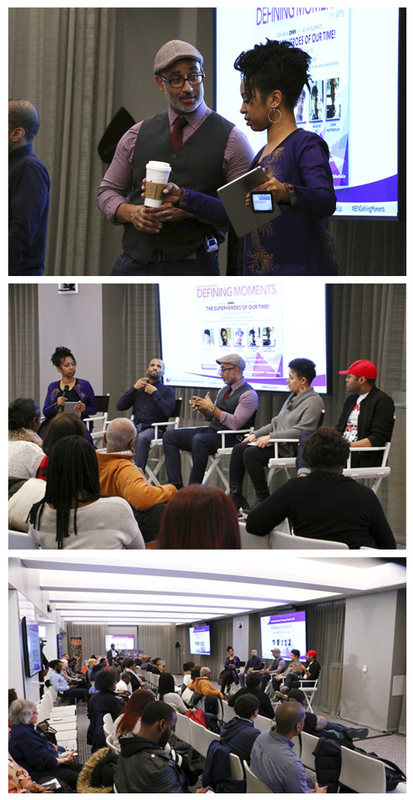 Shawn joined fellow panelists, actress Regina Hall, Cinematographer Gabriel Beristain, Theater Agent, CAA Kevin Lin, Executive Producer Michael Bederman, SVP of Creative Affairs and Overbrook Entertainment Caleeb Pinkett to launch the Careers In Entertainment Tour (CIE). 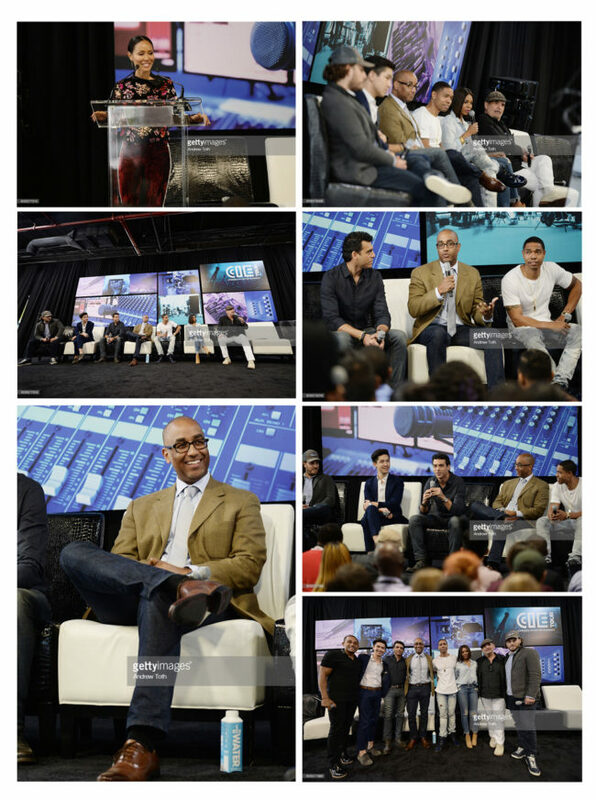 Held at the Brooklyn Expo Center, Brooklyn, NY., the Careers In Entertainment Tour is an initiative of the Will and Jada Smith Family Foundation. 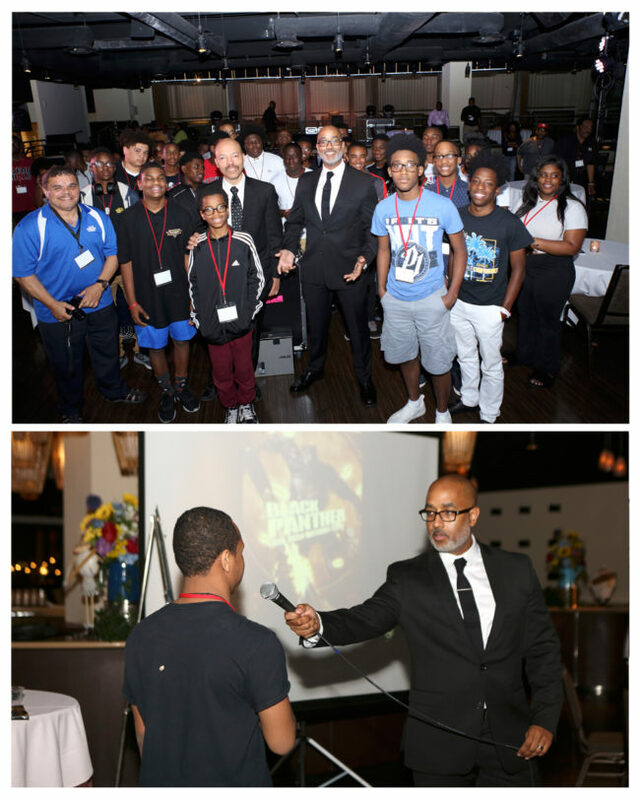 The event hosted approximately 600 youth from NYC Public Schools and colleges who gained an insightful perspective of alternative careers within the entertainment industry through panel discussions moderated by actor, author, and activist Hill Harper. 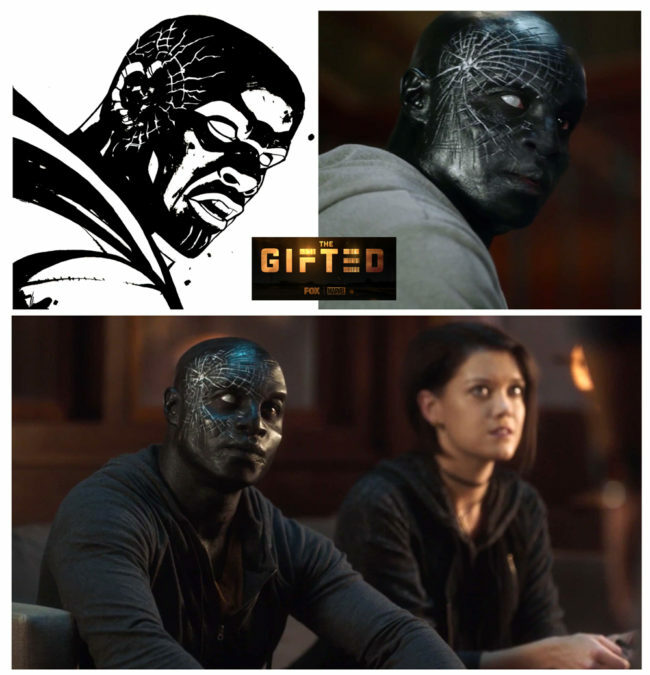 The cast of Fox’s “The Gifted” expands with the addition of actor Jermaine Rivers as the Marvel Comics mutant “Shatter”. Introduced in 2002 in Marvel’s “Morlocks” mini-series, the mutant known as “Shatter” is a member of the Chicago based Morlocks co-created by Shawn and Geoff Johns, writer, producer and former Chief Creative Officer of DC Entertainment. 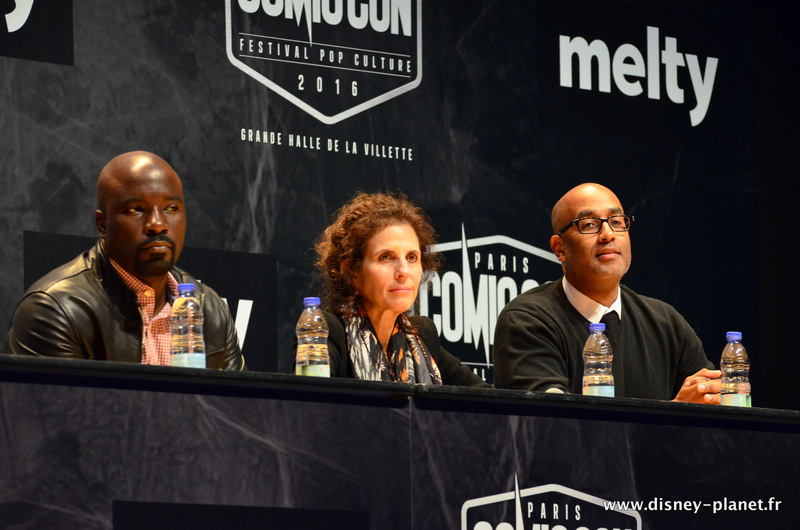 Shawn joins the Paris Comic Con “Luke Cage” panel, with actor Mike Colter and costume designer Stephanie Maslansky, to discuss the iconic Marvel character and his acclaimed mini-series “Luke Cage Noir”. 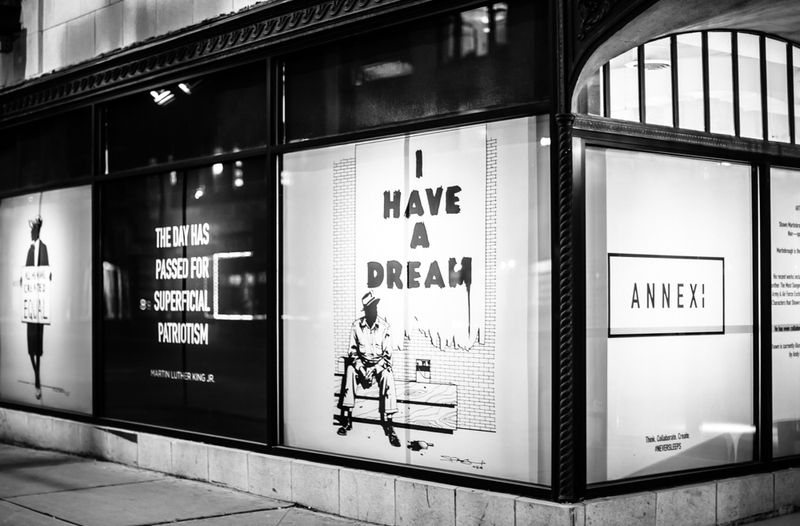 Shawn contributes original artwork featuring American icons Ida B. 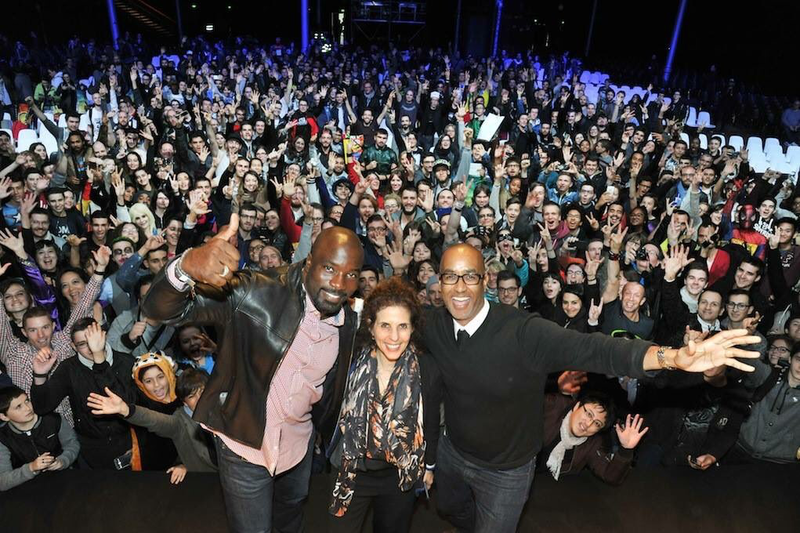 Wells and Mae Jemison to “FEMME MAGNIFIQUE”. 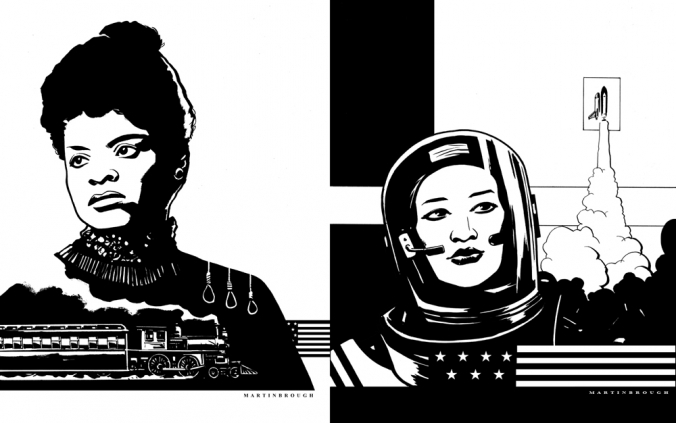 Co-created by former Vertigo Books Editor-In-Chief Shelly Bond, the graphic novel anthology showcases inspirational comic-book stories about powerful women in science, politics, and the arts. Shawn joins an A-list of writers and artists, including those published by Random House, Marvel, DC Comics, Image & IDW, New York Times best-selling authors and TED speakers to bring “FEMME MAGNIFIQUE” to life. 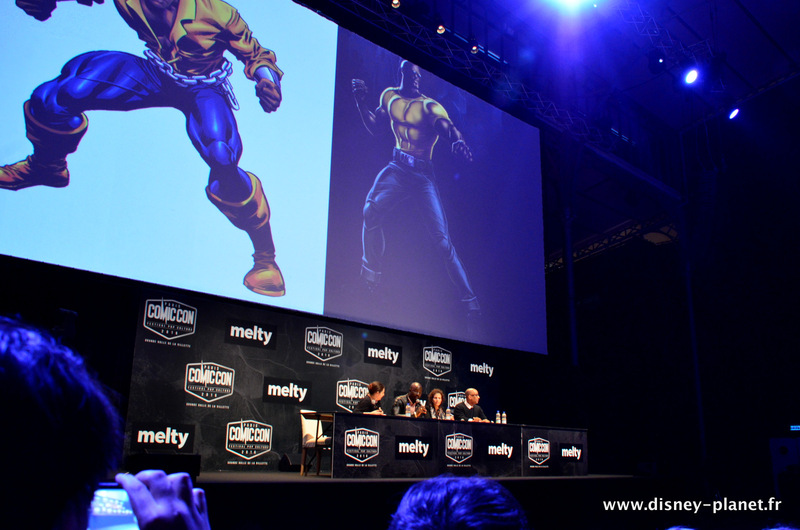 Shawn reflects on his time drawing the Harlem superhero, “Luke Cage” and the importance of representation in this editorial for BET.com. 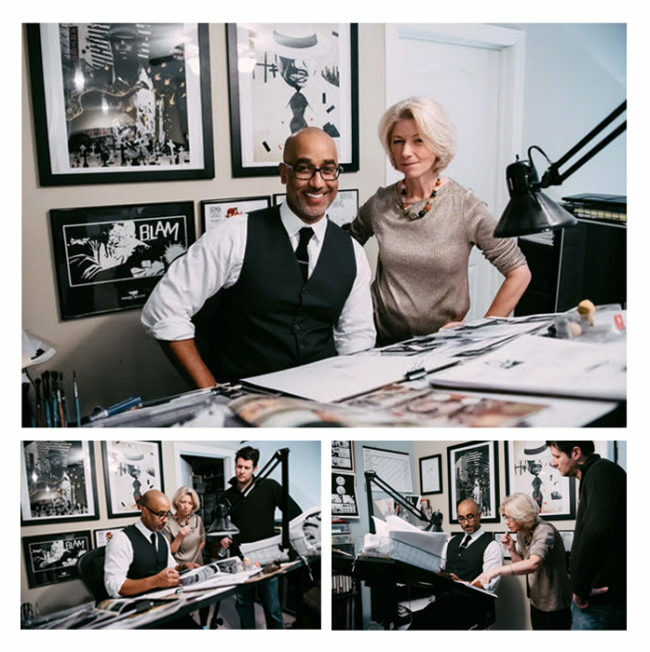 Shawn discusses his ten favorite “Thief of Thieves” covers and the creative process behind each image with journalist Tim O’Shea for CBR. 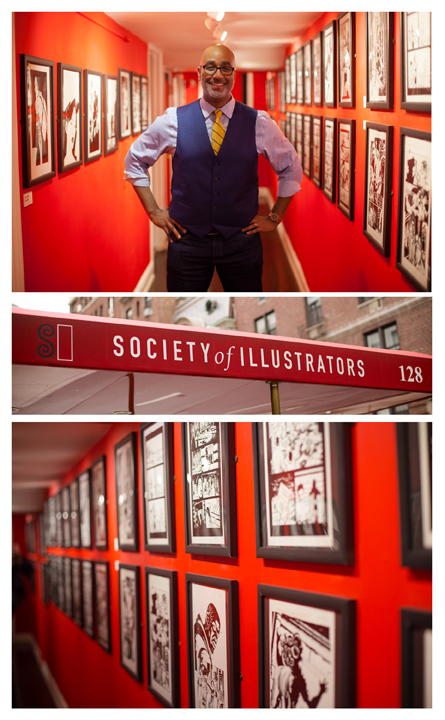 Shawn was invited to serve as a judge on the 2017 Society of Illustrator’s “Will Eisner Scholar” competition. 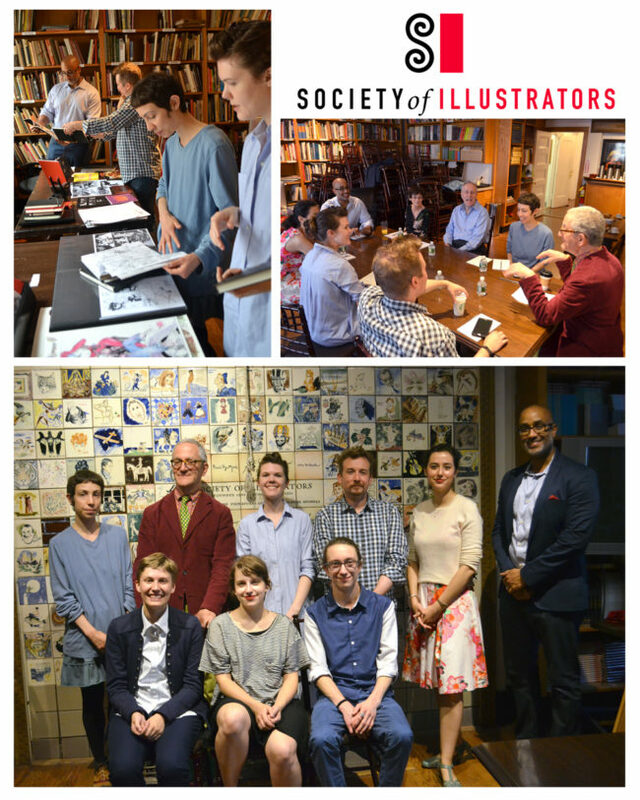 The Society hosts the event on behalf of the Will & Ann Eisner Family Foundation and the scholarship is awarded to students across the country for their outstanding work in illustration and sequential art. 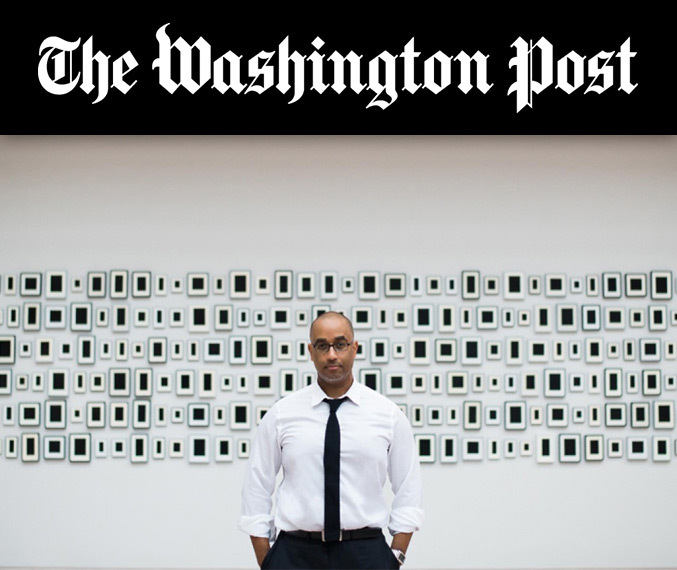 The New York Times covers the wedding of Shawn Martinbrough and Ayanna Ross, Esq. 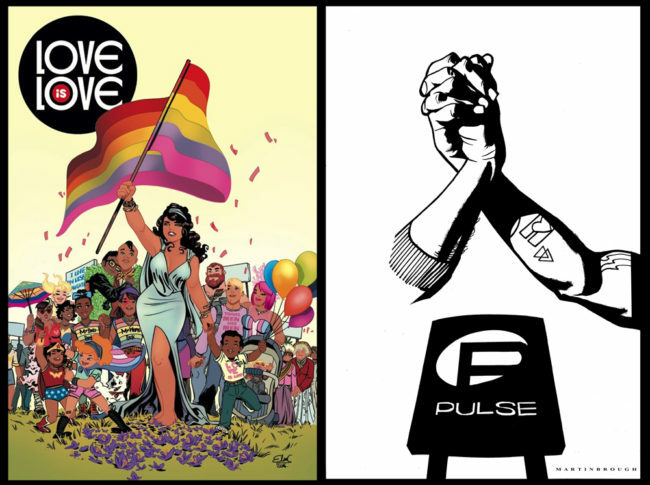 To honor the victims of the Pulse Nightclub shooting in Orlando, Shawn contributes artwork to the graphic novel anthology, “Love is Love”. Joining industry titans Brian Michael Bendis, Gail Simone, Grant Morrison, Paul Dini, Jim Lee and Mark Millar, Shawn donates artwork to the NYTimes bestseller with all proceeds going to benefit the victims and survivors of the tragedy. 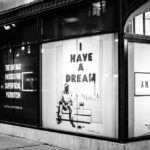 In celebration of Martin Luther King Day, Shawn partners with Havas Advertising to showcase his artwork with quotes from the civil right activist. 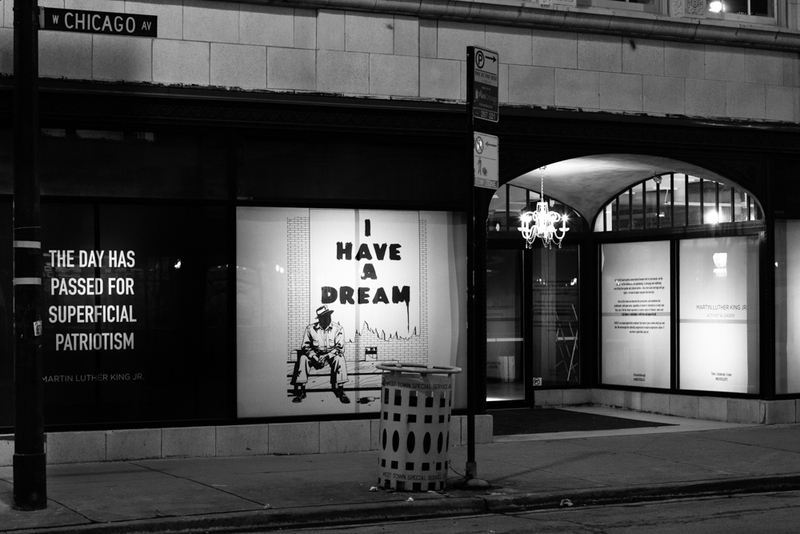 On display at The Annex in Chicago, Shawn’s black and white artwork creates a bold visual statement underscoring the powerful words of civil rights activist, Dr. Martin Luther King. 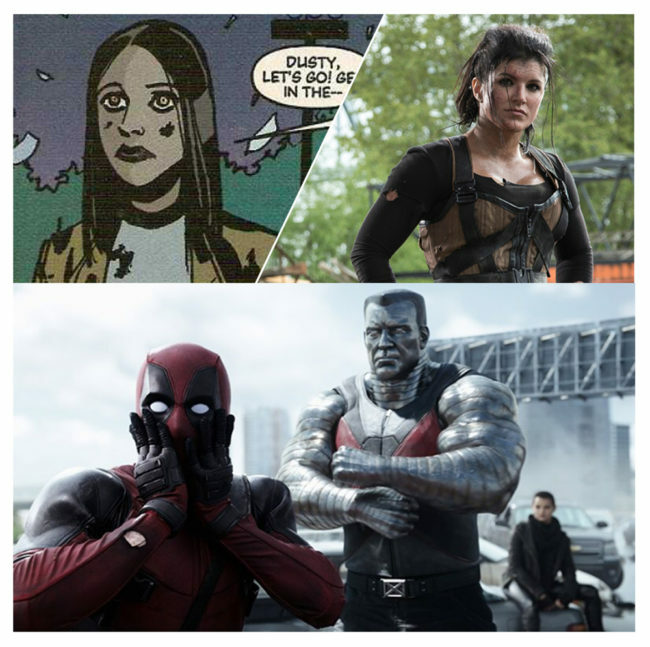 Actress Gina Carano plays “Angel Dust”, co-created by Shawn and Geoff Johns, writer, producer and former Chief Creative Officer of DC Entertainment, in the FOX feature film “DEADPOOL”. The character first appeared in the “X-Men” themed mini-series,”The Morlocks” published by Marvel Comics. Read the Full Interview at theblerdgurl.com. 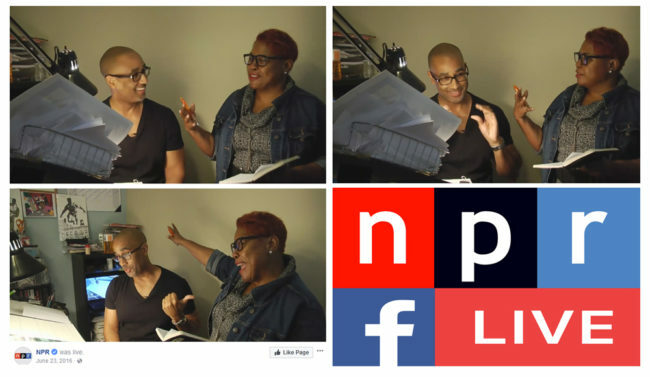 NPR’s Tanya Ballard Brown interviews Shawn in his studio about his graphic novel series “Thief of Thieves,” art and comics. See how Shawn translates the script to page for “Thief of Thieves”. 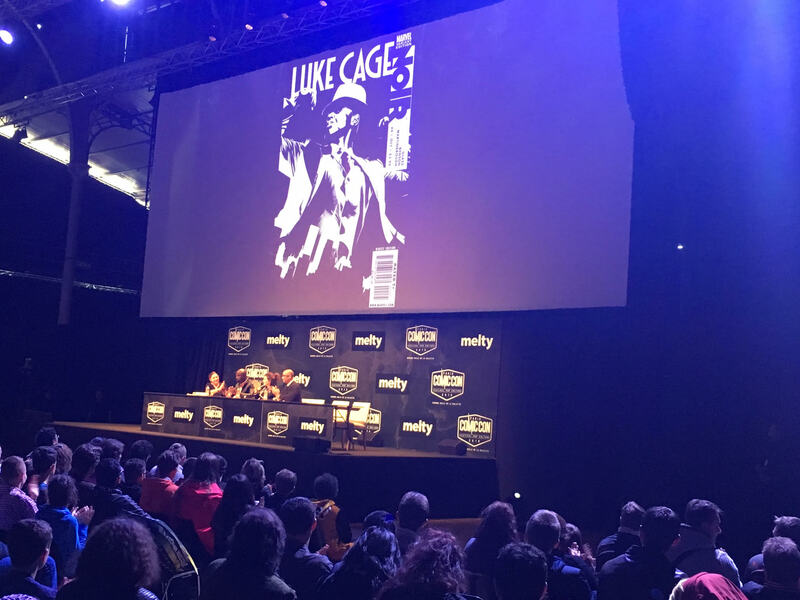 “The Walking Dead’s” most infamous villain, Negan, appeared on the covers of various non “Walking Dead” comic titles published by Robert Kirkman’s Skybound imprint. Shawn designed and illustrated this “Negan” themed cover for his series “Thief of Thieves”, exclusively for the San Diego Comic Con. 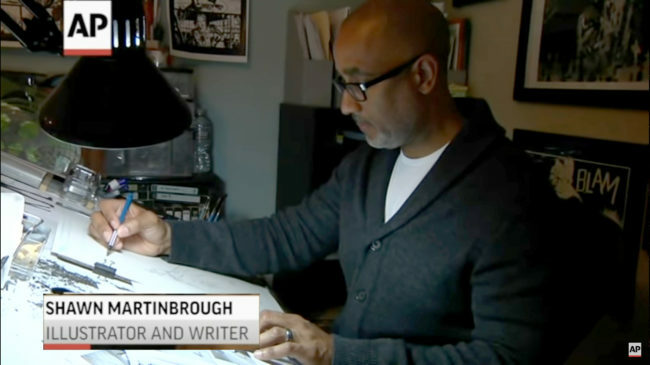 Artist Shawn Martinbrough talks about working in the comic book industry — and growing its diversity. In this interview with Scion, Robert Kirkman gives an overview of his company, Skybound Entertainment. Best known as the creator of “The Walking Dead”, the hugely successful comic book and TV show, Kirkman works with creators like Shawn to tell stories in various genres and platforms. Check out a behind the scenes look as artist Shawn Martinbrough creates a priceless depiction of the upcoming Scion iA, set in the world of the comic book “Thief of Thieves”. 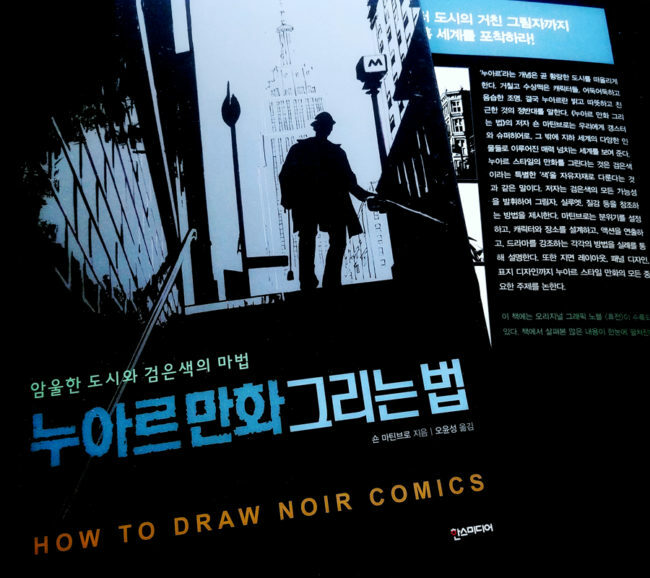 Hans Media acquires the Korean language rights to Shawn’s art instruction book, “How to Draw Noir Comics: The Art and Technique of Visual Storytelling” published by Random House. The Korean publisher has also licensed Stan Lee’s “How to Draw Superheroes” and “Super Scary Mochimochi”. 13th Dimension interviews Shawn on drawing the Big 25th issue of his acclaimed Skybound/IMAGE series, “Thief of Thieves”. 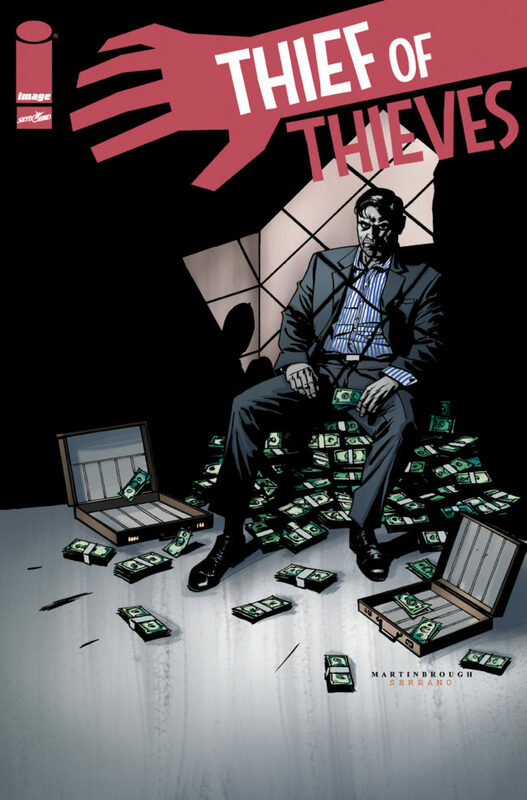 Comic Book Resources interviews Shawn about illustrating the dramatic 25th issue of his acclaimed series “Thief of Thieves” with writers Robert Kirkman and Andy Diggle. From “Scalped” to “Thief of Thieves”, SALON names “Thief of Thieves” one of “The most engrossing crime comics in history”. 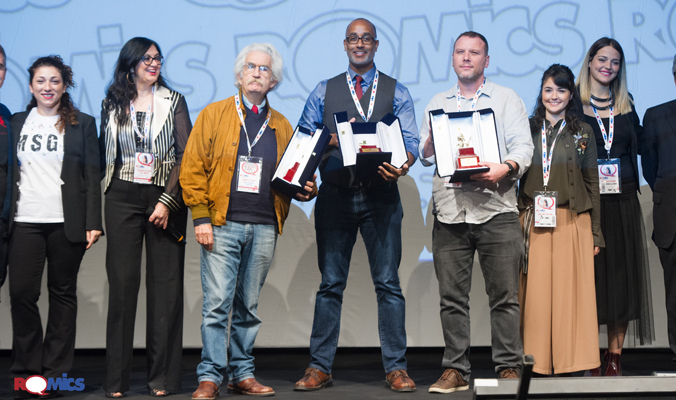 “Thief of Thieves” nominated for “Best Foreign Series” by The Naples Comicon in Italy. 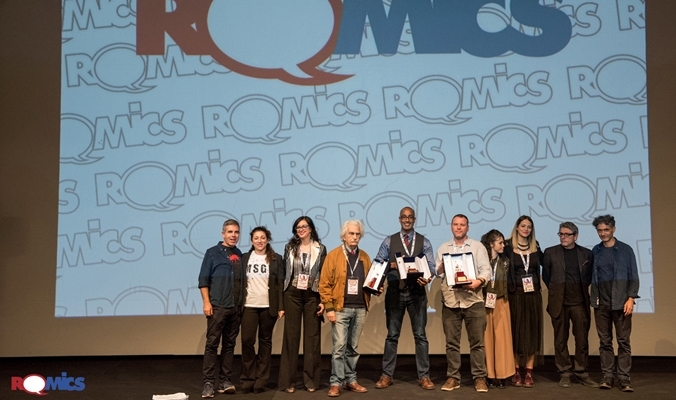 The candidates for this years award have been selected by the editors of some of the most important web portals of comics in Italy such as Fumettologica, MangaForever and White Space. 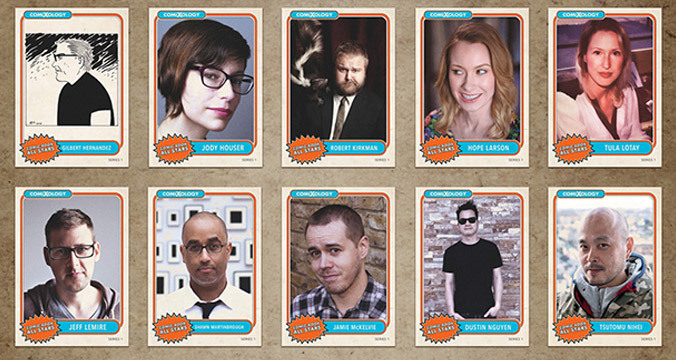 BUZZFEED names ‘Thief of Thieves”, one of “The 19 Greatest Comics of 2013”. The New York Daily News’ Clem Richardson interviews Shawn about growing up in New York, his career as an artist, working for Marvel and DC Comics and drawing “Thief of Thieves” with Robert Kirkman, creator of “The Walking Dead”. 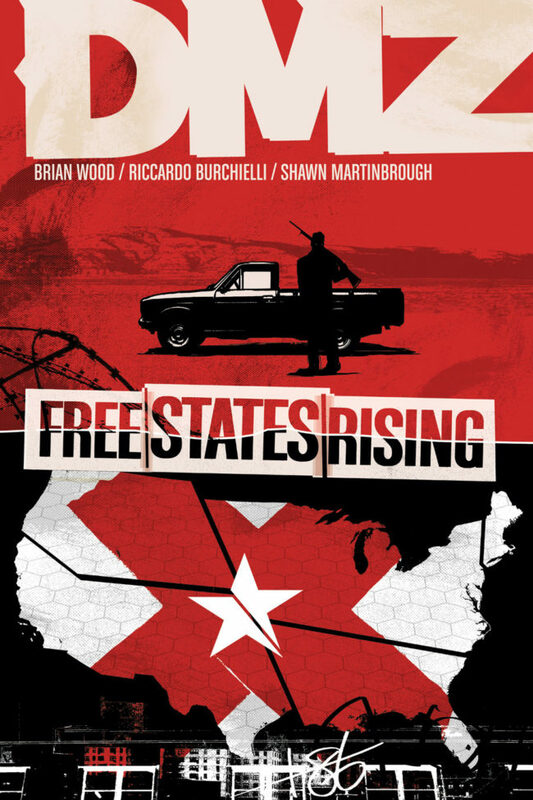 The “DMZ: Free States Rising” trade paperback collects Shawn’s two part story arc written by Brian Wood, published by VERTIGO/DC Comics. 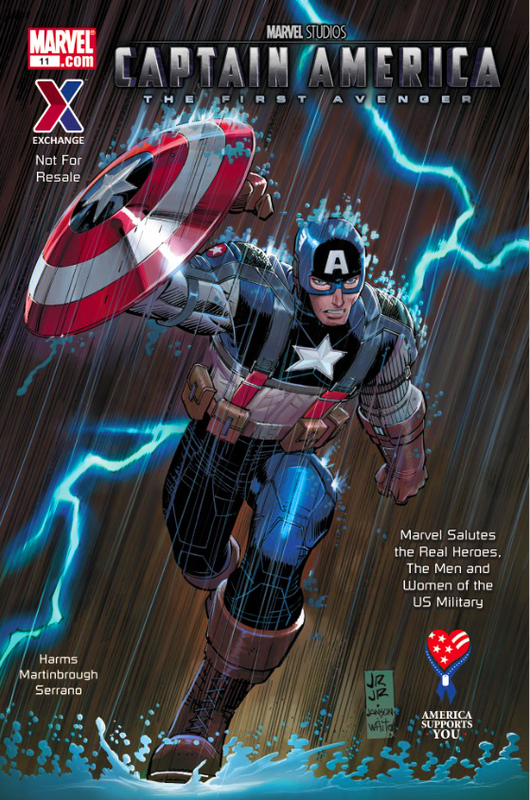 Shawn illustrates an original Captain America story, written by William Harms, exclusively for Marvel and the U.S. Army. The graphic novel has a million copy print run and with the release of the feature film “Captain America: The First Avenger”, will be distributed on military bases across the country. 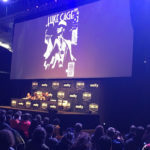 Shawn illustrates the mini-series “Luke Cage Noir” for Marvel Comics. 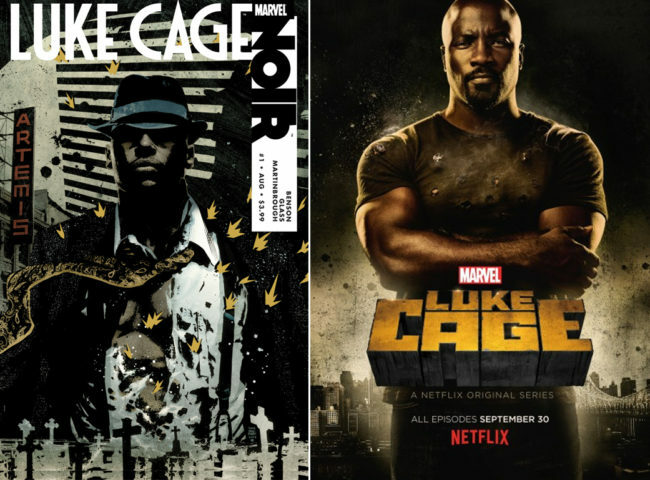 Set in 1930’s Harlem, the crime thriller written by Mike Benson (ENTOURAGE) and Adam Glass (SUPERNATURAL, CRIMINAL MINDS), featured the classic African American superhero Luke Cage. 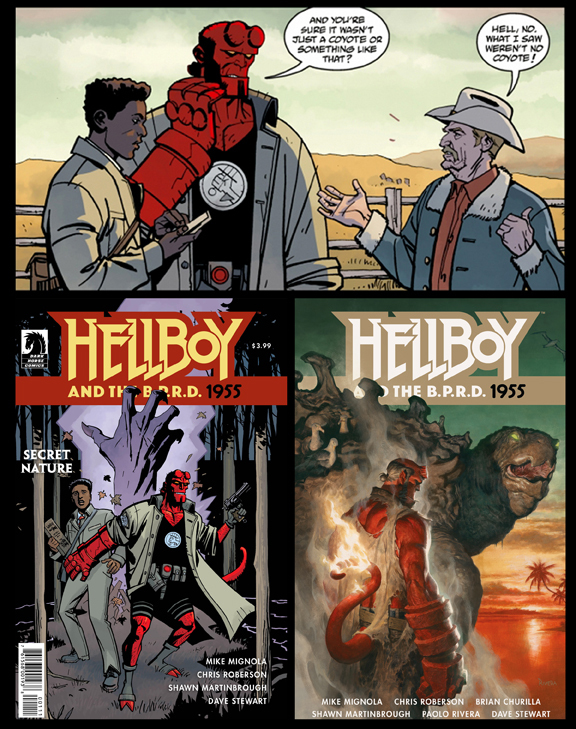 The mini-series has been collected in hardcover and paperback editions. 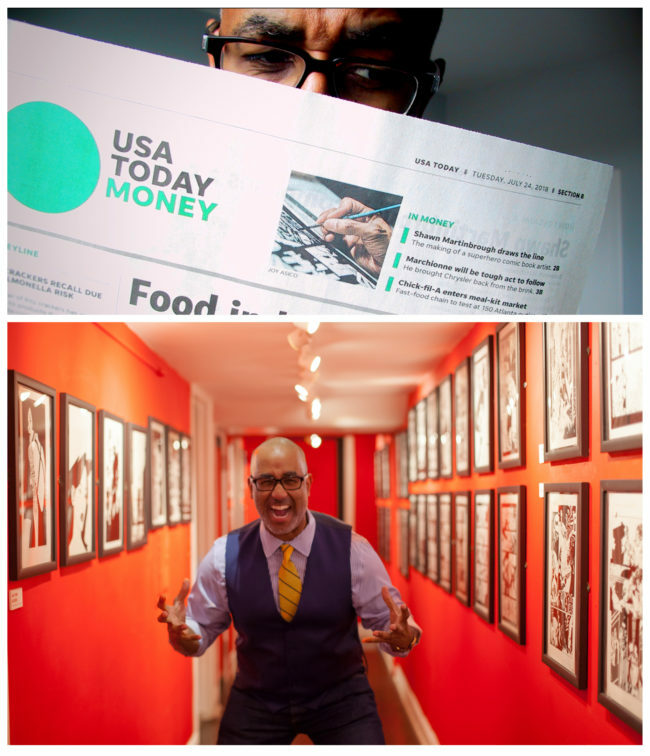 READ MORE at USA TODAY and Entertainment Weekly. 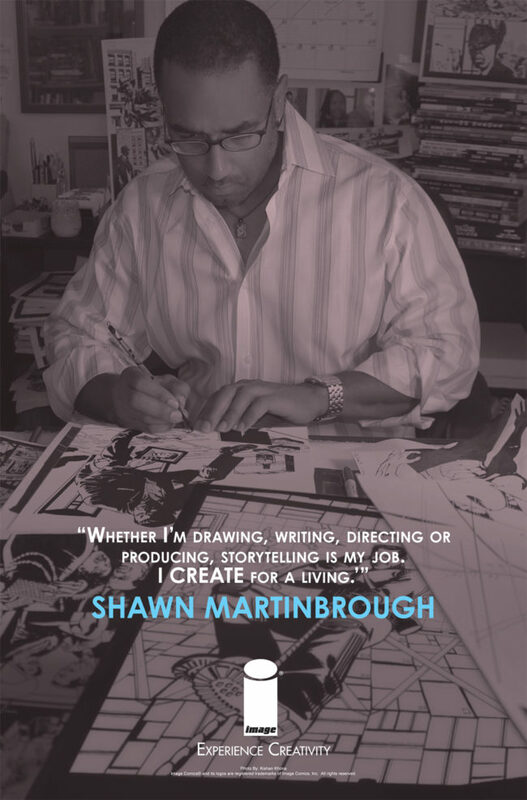 Shawn was featured in the “Experience Creativity” campaign for Image Comics. 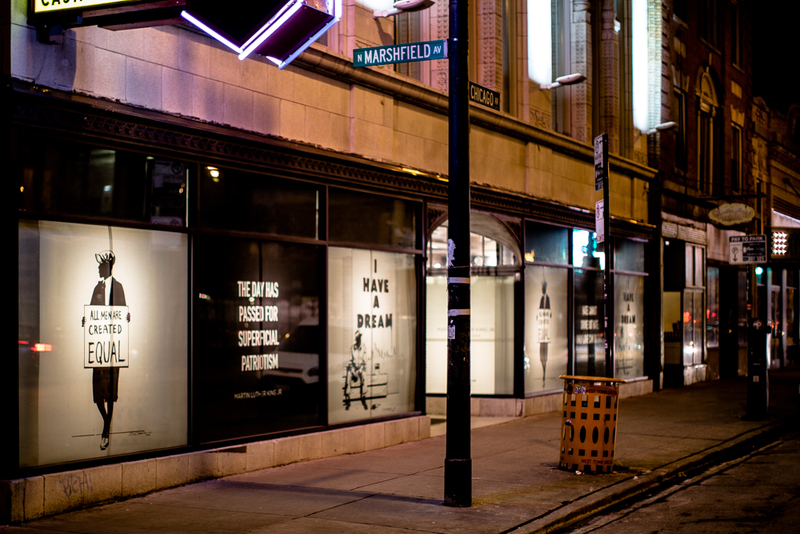 The advertisements showcased various Image artists and writers to celebrate the 20th Anniversary of the publishers founding.